If you go for hiking or trekking on a regular basis, you would probably know how much value your footwear holds. Forget the jackets, backpacks, or tents, if you do not own a good pair of hiking boots, you will surely not be able to enjoy the adventure and the fun of hiking. With ill-sized boot or misfit shoes, you will get hotspots and blisters on your feet, and therefore your journey will be done and dusted with just a snap of a finger. So to guide you to choose the best hiking boots available in the market, we have prepared this article. 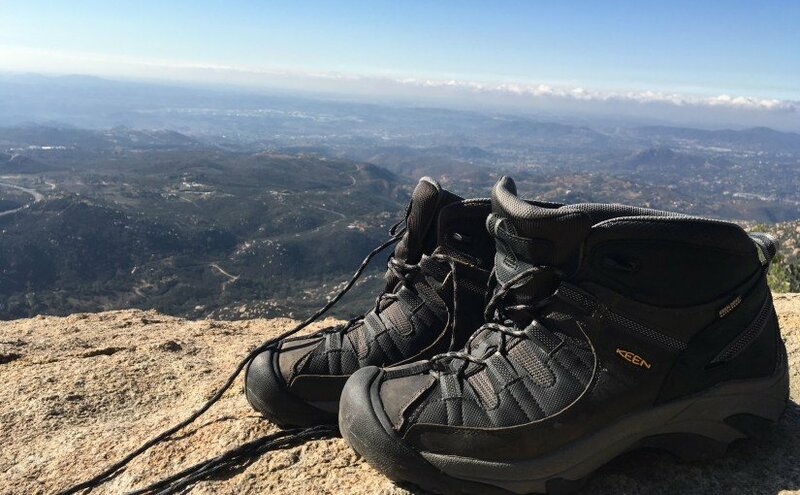 Here we have discussed in each and every aspect of a hiking boot, including key components, the buying guide and obviously the product reviews. The first product which has topped our list is the very same product which has been awarded as the best hiking boot for men in the last year. 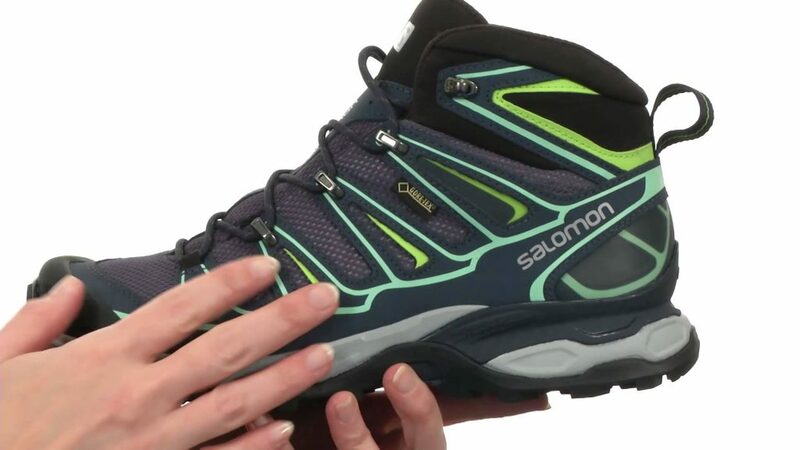 Folks we are talking about the Salomon Men’s Quest 4D 2 GTX hiking boot. Salomon has always been famous for manufacturing high-rated hiking boots and this product is the finest example of that. So if you are a serious day hiker and backpacker, this is tailor-made for you. This falls under the midweight category, thus neither too heavy nor too light. The Quest 4D 2 GTX is well built, an all-round performer and very comfortable to wear. The biggest advantage of this boot is it comes with a nimble footbed and midsole along with the supportive fit and an amazing lacing system. The exterior of this product sports a fine mixture of textile and leather and the Gore-Tex waterproofing is placed under both the materials. The 6-inch shaft rises protect your ankle and the toecap made with thick rubber protect your toe perfectly. Weighing only 2 lbs. 13 oz. the Quest 4D 2 GTX is one of the most popular hiking boots available on Amazon and moreover does not cost too much. One of the best hiking boots available on Amazon for different conditions and an affordable price. Well, we started our list with the best hiking boot for men, now it is time to review the best hiking boot for women, and that award goes to Vasque Breeze III GTX Boot. This is one of the most versatile hiking shoes we have tested and best for the light-duty hiking, day or overnight hiking as well as for the beefy backpacking. The upper portion of this is made of mesh and nubuck and provides support for 30-pound loads. Albeit it is lightweight and ideal for mixed trails and especially rocky terrains. As the name suggests, the USP of the Vasque Breeze III GTX Boot is the breathability. This product comes with heel and toes ventilation which is most useful for desert hiking. The Vibram Megagrip and the Vasque Vibram Contact Grip feature of the boot offer unparalleled traction and work exceptionally well on the steep ascent or descent and slick rock. The thick plastic made toe and heel cap offer the much-needed safety and protection. It also comes with the Gore-Tex waterproofing and weighs only 1.1 lbs. No foot fatigue or soreness. If you are seeking for a hiking boot which offers great performance as well as unbelievable comfort, then go for the Vasque Breeze III GTX Boot with your eyes closed. If you are looking for a budget hiking boot, then surely set your eyes on the Merrell Men’s Moab Ventilator Mid Hiking Boot. This is probably the best hiking boot under $100 and perfect for day hikes, overnight hikes, weekend treks or occasional multi-day treks. 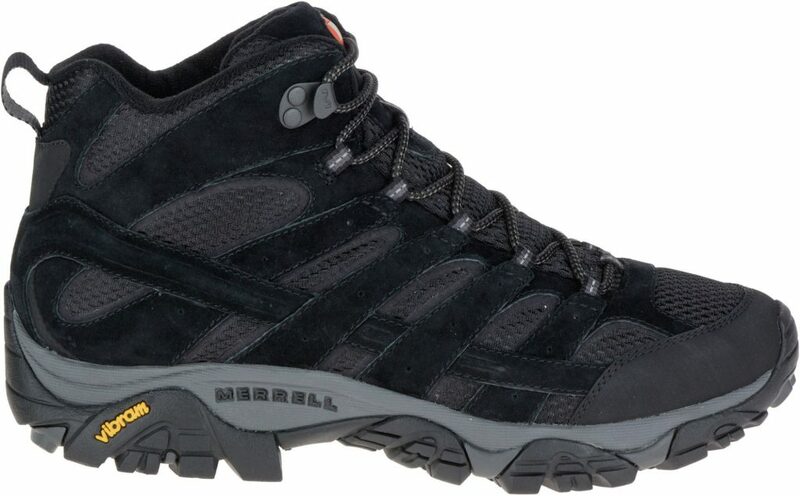 Although being a mid-hiking boot, Merell Moab Ventilator offers great support and comfort. 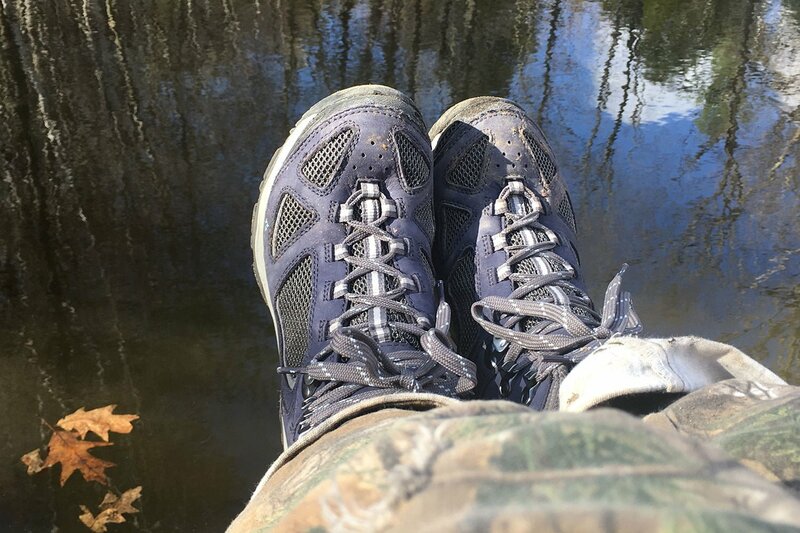 It is one of the most lightweight hiking boots we have reviewed and comes with excellent water resistance, tread pattern, and breathability. Not great for winter treks. If hiking is only your hobby and not your profession, then Merell Moab Ventilator would be the best buy for you. Our next product, the Salomon Men’s X Ultra Mid 2 GTX is another premium product of Salomon. This product comes with a built of a trail-running shoe but offers amazing ankle protection and support. So if you are a fastpacker or a thru-hiker, you will surely fall in love with this feathery light and ultra-flexible top-notch hiking boot. The Contragrip sole and the lugs featured in this are very grippy and do not slip on the rocky terrain or steep trails. The toe cap provides the much-needed protection and blocks most roots and rocks. The boots made by Salomon comes with a great lacing system, which the company termed as Quicklace and this product is not an exception too. The Salomon Men’s X Ultra Mid 2 GTX also offers great Gore-Tex waterproofing ability. Tougher than other contemporary lightweight boots. Not appropriate for wide feet. 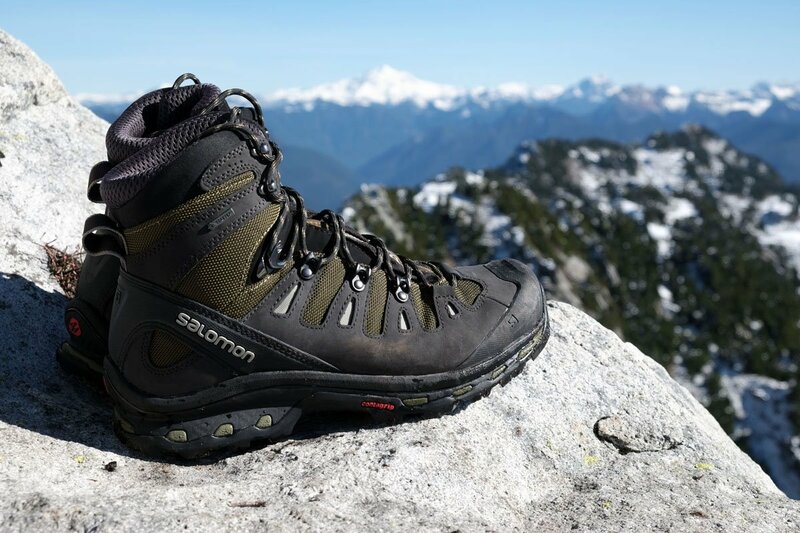 When you are searching for lightweight hiking boots with great comfort and stability, then you should consider Salomon Men’s X Ultra Mid 2 GTX as the first preference. If you are a professional hiker and an ardent mountaineer, you will just love the Asolo TPS 520 GV Boot heavyweight hiking boots. This particular footwear is made of rugged full-grain leather and the Gore-Tex interior makes the boot waterproof as well as breathable. This tough and durable hiking boot can withstand rock, snow, rain, mud and other obstacles the hikers face during their journey. The solid sole made with Vibram provides ideal grip in rough and rocky terrains as well provides excellent support. The sturdy upper part of the boot comes with the option to attach crampon and protects your ankle from injuries. The Asolo TPS 520 is renowned for its longevity and durability and although being a heavyweight hiking boot, it does not need a break-in period. Amazing arch and ankle support. The meaning of "V", "GV" and "GTX" in the Asolo style names: V stands for a Vibram outsole, GV stands for Gore-Tex lining with a Vibram outsole, and GTX is for a GORE-TEX lining. The TPS 520 GV EVO leather hiking boot by Asolo has a tough yet comfortable leather design, excellent waterproof protection, and reliable traction that makes it ideal for backpacking, trekking on technical terrains, and long distance hiking. Contains a revolutionary Triple Power Structure (T.P.S.) sole designed by Asolo in partnership with Vibram. Our next product is another premium footwear which is incredibly famous among the users and is one of the top-rated hiking boots available on Amazon. The KEEN Men’s Targhee II Mid WP Hiking Boot is made of high-quality leather and the rubber soles used in the boot are long lasting as well as comfortable. Like all the superlative hiking boots, this footwear also provides amazing breathability and water-resistance. The midsole of this boot is made of EVA foam and the footbed is removable. The EVA foam offers a unique cushioning to the bottom of the user’s feet and thus it is ideal for the long treks with heavy backpacks. But apart from all these, the stability and the comfort this hiking boot provides is unprecedented. The upper part of the KEEN Men’s Targhee II Mid WP is made of a special material which is not found in any other hiking boots we have tested. The KEEN Dry technique keeps your feet dry all day long. Moreover, the ESS shank offers stable torsion which is ideal for climbing rocks and the unique mid-cut protects your ankle. 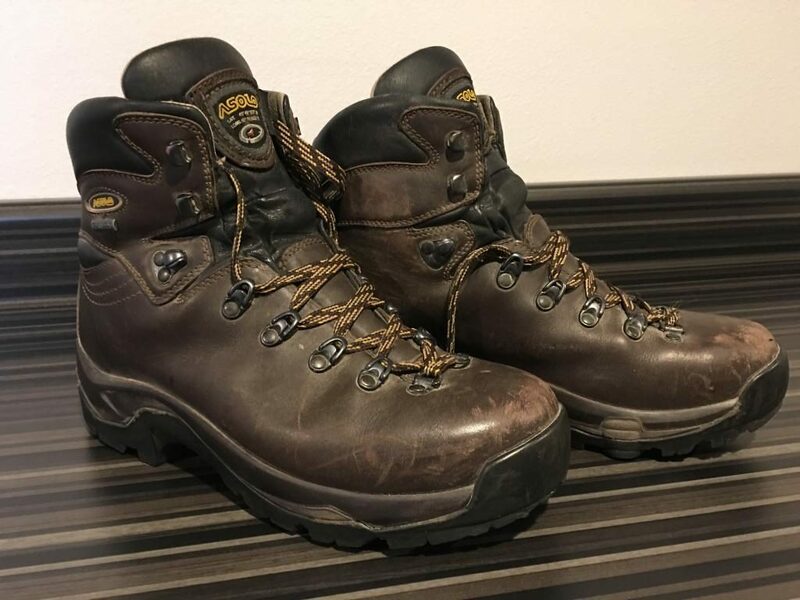 With its comfort and protection and that is too at such an inexpensive price, KEEN Men’s Targhee II Mid WP Hiking Boot is the best product if you consider the value for money. Timberland White Ledge Men’s Waterproof boot is by far the most popular hiking boots available on the Amazon and thus gets enlisted on our list. This is a unique hiking boot which you can wear while camping, hiking, mountaineering as well as with your blue denim. This boot is made of full grain oiled premium heavy duty leather and the laces come with brass hardware which notch the style quotient at an instance. 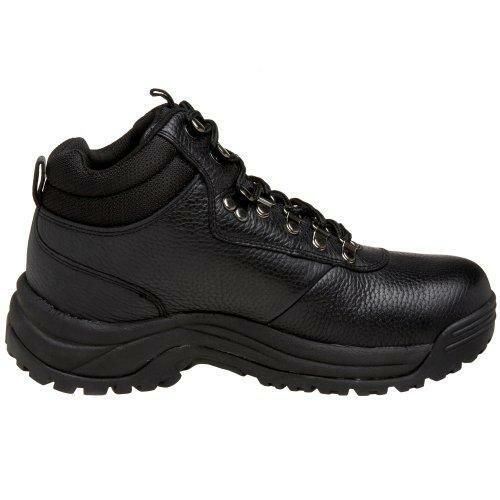 This boot is extremely comfortable and the shaft protects your ankle in a fair amount. The Timberland White Ledge Men’s Waterproof boot is famous for its versatility as well as provides good grip kudos to its rubber sole and traction. This amazing hiking boot also offers great water resistance and tremolite insulation. It is sturdy, strong and durable and can use on the rocky terrains. Also, this footwear is considered as one of the best hiking boot for wide feet. If you want an out-of-the-box hiking boot with the perfect blend of style and security, then the Timberland White Ledge Men’s Waterproof boot is ideal for you. 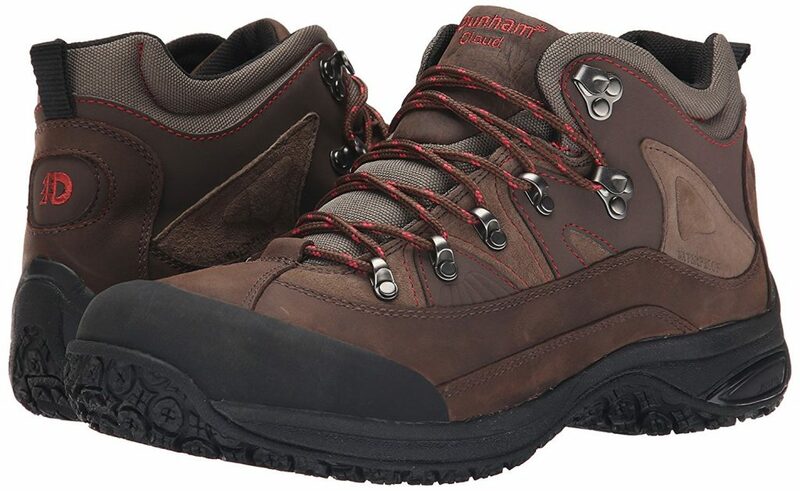 Another fan favorite on Amazon, Dunham Men’s Cloud Mid-Cut is another A-quality hiking boot which assures to make your journey memorable with its comfort and performances. This footwear comes with an EVA midsole which absorbs shock and the midsole features a fiberglass stability shank which supports the foot arch in an excellent manner. Moreover, the removable dual density ABZORB inner sole absorbs shock beautifully and offers great comfort while walking on a rough trail. The mid-cut collar design and the integral Graphite Rollbar technology is perfect for the stability and support. The Nubuck leather uppers provide great water resistance. The TRU-TRAK rubber outer sole and the aggressive tread pattern offers maximum traction and grip. 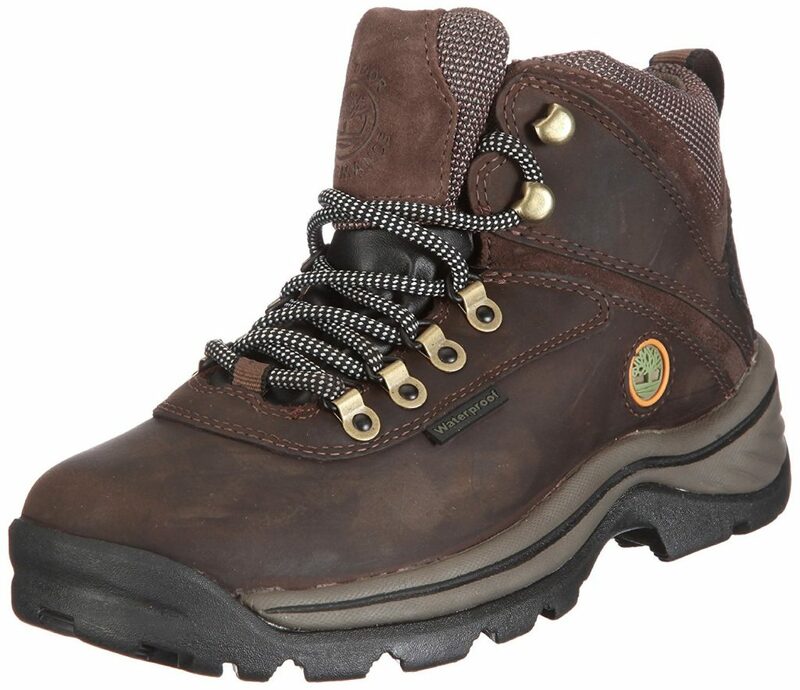 The full-grain and Nubuck leather on the upper part have made this hiking boot strong, robust, rugged and durable. A top-notch hiking boot with great comfort, water resistance, robustness, and traction. A complete package at a very affordable price. Columbia is one of the most famous manufacturers of the hiking boots and Newton Ridge Plus is one of their finest creations. Although this hiking boot looks very simple aesthetically, it is made of very tough materials. Engineered by the company’s Omni-shield technology, it is a complete waterproof hiking boot and ideal for using in the harsh conditions. Moreover, the Omnigrip rubber outsole provides utmost comfort in all types of terrains. This outsole also offers great stability and firm grip. Despite being a heavy-duty hiking boot, it is lightweight. The shaft is 4 inches from the arch and provides enough protection to your ankles. The midsole is built of molded EVA which absorbs shock in a great manner. Due to its narrow design, it is considered as one of the best hiking boot for flat feet. If you love things keeping simple but also expects great performance, stability, traction, and comfort, then the Newton Ridge Plus would be the perfect option for you. Our last product in the list of the best hiking boots 2018 is the ‘jack of all trades’ just for its versatility. The Propet Men’s Cliff Walker Boot can be used for multiple purposes like hiking, trekking, general outdoor activities, traversing through wet and muddy trails or even climbing. This consists of a flexible ‘self-cleaning’ rubber outsole design and that makes this footwear a class apart. The self-cleaning design depicts that the hiking boot provides stability and secured grips in all kinds of terrain. Moreover, this also comes with an excellent lacing system and a D-ring hook. The Propet Men’s Cliff Walker Boot also features breathable nylon mesh lining. The Sealtex waterproof technology offers maximum water resistance. The thick cushion throughout the shoe provides comfort, covers the ankle and offers utmost support to the user’s feet. The rugged, sturdy yet light nature of the shoe allows the users wear them on the backyard for the everyday tasks. Not great in the snow. 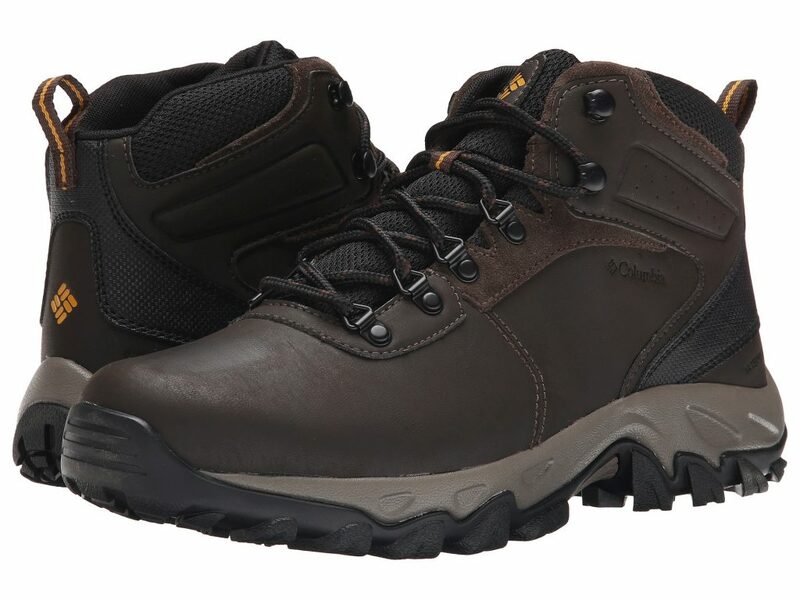 If you are looking for a footwear which you can use for the daily basis as well for hiking and trekking, then go for the Propet Men’s Cliff Walker Boot without any hesitation. Friends we have already discussed on what is a hiking guide, various types of hiking boots available in the market and the essential components of a hiking boot. Now we are going to tell you which criteria or metrics should you check before buying the best hiking boot for men or women. Well, the first thing you should check is the size and the fittings. Because that is the most important criteria. Next, you should check the comfort, breathability, water resistance, stiffness and stability, toe protection and lacing system, price and various other aspects. Also, the nature of the hiking holds major importance and the choice of the hiking boots varies according to that. Well, not wasting any more time let’s delve into the factors you should keep in mind before buying the best pair of hiking boots. If you buy an over-sized or small-sized hiking boot, it will not serve your purpose and will be a complete waste. So size and perfect fitting should be the first thing you check before buying your dream hiking boots. If you buy an ill-sized hiking boot and if it does not fit you properly, you will get blisters and your hiking will be ruined completely. The type of the trail and the nature of your hike also hold major significance and the hiking boot you are going to buy will vary according to that. So if you are planning for a day trek or an overnight trek on a well-established trail, you should go for the lightweight, low-cut hiking boots. On the other hand, if you are planning for a long trek on a rough terrain with a heavy backpack, then you should buy the midweight or heavyweight hiking with mid or high-cut. So have a good knowledge about your upcoming journey and then choose your hiking boot accordingly. In the ‘types of hiking boots’ section, we have thoroughly explained how the weight varies with the quality of the hiking boots. So we don’t think we have to explain the significance of the weights in a hiking boot, again. As we have mentioned above, the shank and the plates are one of the major components of a hiking boot which provides internal support and stability. These also determine the stiffness of a hiking boot. Although we don’t want a stiff shoe for our daily usage, for the hiking boots, the stiffness plays a major role. The stiffer your hiking boots will be, the more it will provide you balance while walking on the tough rocky terrains. Also, it will protect you from getting bruised. So check the stability and stiffness of your desired hiking boot before you pay the money. This is another key metric of determining how good or bad a hiking boot is and depending on the waterproofing capability of the boot, the price goes up or down. The water resistance feature of the hiking boot keeps your feet dry even if you are hiking in the monsoon or crossing a stream. Dry feet is always desirable as our body first catches a cold through our feet and through our head and ears. As we have discussed, the water resistance membrane included in the hiking boots decides the waterproofing ability of the shoes. Some makers also add a water-repellent coating on the upper layer of the boots to make it more water resistant. So test the water resistance of your hiking boot beforehand. Well, the breathability of the hiking boots decides whether your feet get moist and sweaty or not while walking in the summer days. The breathability of a hiking boot is inversely proportional with the water resistance feature. The more waterproof your hiking boot, the lesser breathable it is. Generally, the heavyweight hiking boots come with the worst breathability. So you have to find a perfect balance between the breathability and the water resistance capability in your desired hiking boot. Apparently, the hikers think that the lacing system does not hold as much value as the above-mentioned criteria and they overlook this aspect completely. But, lacing system also plays an important role in measuring the quality of a hiking boot. How? If your hiking boot comes with a poor lacing system and is prone to loosening, then you have to readjust it constantly during your trek and you might get blisters and hot spots. The high-quality hiking boots feature locking hooks near the bend at the ankle which keeps the laces in proper place and provides the much-needed performance and comfort during the trek. The top-notch hiking boots include a rubber rands cover or toe caps which protects your toes when you accidentally kick a rock on the trail. To decrease the weight some manufacturers ignore this aspect, but if you want the utmost protection for your feet and toe, you can’t simply ignore this metric. You must have heard the proverb ‘all that glitters is not gold’. Similarly, a hiking boot comes with an expensive price tag does not mean it is the ‘real deal’ and of course vice-versa. So never choose a hiking boot solely by its price tag. Obviously, the budget is a factor, a big factor, but also consider the other aspects we have mentioned in this section too. What is a Hiking Boot? Hiking boot is the most important aspect of hiking and a footwear which is specially designed to protect your feet, heel, and ankle during the journey. Hiking boots are considered as the essential hiking gear, as the quality and durability of a hiking boot can determine how long a hiker can walk without picking any injury and trouble. This specialized footwear provides the much-needed comfort to walk for a long distance in a rough terrain and thus selecting a good hiking boot should be the utmost priority to a hiker before he/she steps out for the adventure. We can classify the hiking boots in three types depending on the nature of the hiking and they are Trail Shoes, Trail Hikers, and Mountain Walking. These kinds of hiking boots are designed especially for the hiking in dry climates and on less rugged or rocky paths. So if you are thinking of hiking on a well-established path only for a day or for an overnight, these types of hiking shoes would be ideal for you. Generally, these kinds of hiking boots lightweight and flexible in nature and costs less. Trail shoes or lightweight hiking boots are made of mesh and nylon with leather mixed in so that both weight and price stays light. #2. Trail Hikers or Midweight Hiking Boots: These hiking boots are ideal for muddy paths and steeper inclines. These boots offer better ankle protection and more stability than the trail shoes. These hiking boots are sturdy and watertight in nature and offer enough support to carry a heavy load. So if you are a backpacker or a serious day hiker, this is ideally suitable for you. As these types of boots do not feel too heavy and provide solid support underfoot, the demand for the midweight hiking boots is on the rise. You will get a midweight hiking boot under $200. #3. Mountain Walking or Heavyweight Hiking Boots: As the name suggests, these boots are designed for walking on the mountains or hills. You can attach crampons with these kinds of hiking boots so that you get a better grip while walking on the glaciers or hard-packed snow. These are extremely durable, reliable, and sturdy footwear and come with stiff soles for providing better ankle protection and support on difficult rocky trails with heavy backpacks. Generally, five key components decide the quality of a hiking boot. These key components make the difference between an amazing hiking boot and an average one. So knowing the key components is as crucial as knowing the types and the buying guide. So check out below the key aspects, which either make or break the footwear. Full-Grain Leather: Full-grain leather generally provides great water resistance, cut resistance, and most importantly amazing durability. Full-grain leathers are generally used in the midweight hiking boots and in the heavyweight hiking boots. Although, this type of leather is not as breathable or light as split-grain leather/nylon but ideal to withstand the consequences of walking on a rocky terrain. Remember, if your hiking boots are made of full-grain leather you need adequate break-in time before you start your extended trip. Split-Grain Leather: This type of leather is usually found in the lightweight hiking boots and provides amazing breathability. Split-grain leathers come paired with nylon mesh or nylons and thus cots much lower than the full-grain leathers. On the other hand, the abrasion and water resistance power of this type of leather is much lesser than the full-grain leathers. Nubuck Leather: Nubuck leather is another form of the full-grain leather which has gone through buff to duplicate suede. This kind of leather is extremely durable and offers great abrasion and water resistance. Although this type of leather is flexible enough, still needs proper break-in time before a long hike. Synthetics: Most of the modern day hiking boots come with the nylon, polyester or ‘synthetic leather’. Synthetics have more advantages than leathers, they are light, require less break-in period, dry quickly as well cost less. But the problem is synthetics get torn sooner than leather. Waterproof Membranes: A lion’s share of the price of a hiking boot depends on whether it features a waterproof membrane or not. Waterproof membranes are the key component of the water resistance capability of a hiking shoe and this aspect is essential as it keeps your feet dry even in the wet conditions all day long. On the other hand, the waterproof membranes reduce the breathability of the shoe and thus make your feet to sweat on the summer days. Ethylene Vinyl Acetate or EVA: Midsoles made with EVA are lighter, cushier and less expensive. The density of the EVA varies in different parts of the midsoles. Generally found in lightweight hiking boots. Polyurethane or PU: Mostly found in the mid and heavyweight hiking boots, Polyurethane provides more durability and rigidity. The internal support of a hiking boot depends on Shanks and Plates. Shanks: Shanks are usually come with 3-5mm thickness and placed between the midsole and outsole. They increase the load-bearing capacity & stiffness of the midsoles and vary in lengths. Plates: Plates are semi-flexible and thin in nature and placed between the outsole and midsole of the boot, just under the shank. It protects your feet from getting hurt or bruised. Lug Pattern: The traction-producing bumps we used to see in the outsoles of the mid and heavyweight hiking boots are called lugs. The thick and deep lugs improve the grip of the boot. Widely spaced are lugs are best to shed mud and to offer more traction. Heel Brake: The component of the outsole which distinct the heel zone from the forefoot and the arch is termed as heel brake. While walking on the steep descents, the heel brake minimizes the chances of getting slipped. While walking on the hard snow or glacier, crampons are vital for your safety as it provides better grip on the snow. So if you are planning for a winter trek, you should check whether your hiking boot offers crampon compatibility or not. Selection of hiking boots can either make your journey memorable or can make it marred. Remember, it is the most crucial aspect of your hiking or trekking. So before you set your minds up to buy a particular pair of hiking boots, read our buying guide carefully, read all the reviews of the products, check what the users are saying and then only invest your money to buy the best hiking boots.